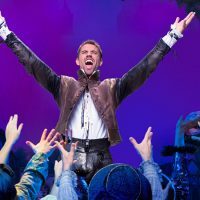 With 10 Tony® nominations including Best Musical, Something Rotten! is “Broadway’s big, fat hit!” (New York Post). Set in 1595, this hilarious smash tells the story of Nick and Nigel Bottom, two brothers who are desperate to write their own hit play while the "rock star" Shakespeare keeps getting all the hits. When a local soothsayer foretells that the future of theatre involves singing, dancing and acting at the same time, Nick and Nigel set out to write the world’s very first MUSICAL! With its heart on its ruffled sleeve and sequins in its soul, Something Rotten! is “The Producers + Spamalot + The Book of Mormon. Squared!” (New York Magazine). 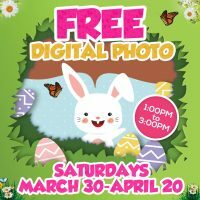 The Easter Bunny will be at Artfully Rooted Marketplace for complimentary photos! Not just for kids, this is for adults too. The store itself will feature Spring and Easter decorations throughout the fall. 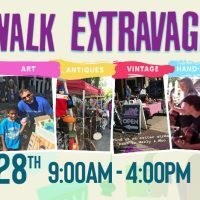 You will find unique vintage items, antiques, furniture, home decor, and handmade items for your yard, home, parties, gifts, and more! 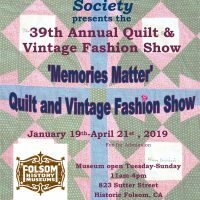 It's that time of the year again, the 39th Annual Quilt and Vintage Fashion Show is almost here! This year's theme is "Memories Matter," which will feature colorful quilts from the German communities of Southeastern Pennsylvania -- recognized for their highly developed skills with fabric, scissors, and needles as they create beautiful quilts. Applique and piece quilts will also be included with their owner's unique stories and late 19th-century to mid-20th century vintage fashions will be showcased throughout the exhibit. 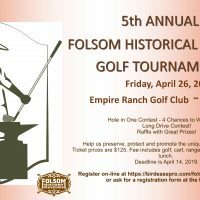 Get your foursome together and join us for a day of golf and fun with a little history thrown in at the Folsom Historical Society Golf Tournament. There will be a hole-in-one contest, a long drive contest, and a raffle with great prizes. Come for an exciting evening of beautiful choral music featuring Inspire Choir's children's choir, based out of El Dorado Hills/Folsom area, a local swing choir (Proscenium with Ringger Studios), and the new adult choir. 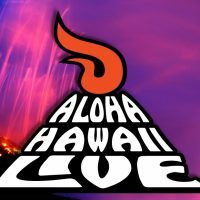 This concert will also feature a guest artist Justin Ancheta who is a teacher, multi-instrumentalist, and master musician (originally from Hawaii) and will be performing and showcasing a very rare percussion instrument known as the Handpan. 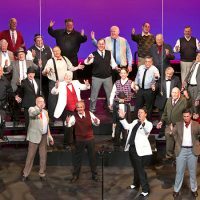 Inspire Choirs of America was formed in 2018 to inspire local choirs among the El Dorado Hills and Folsom areas. 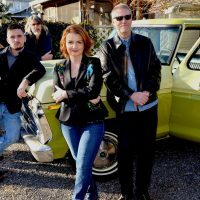 Blues and roots music maverick Shane Dwight, noted for his raspy rock voice and swampy vibe, is touring behind his brand new record, No One Loves Me Better. With lyrical storytelling, he paints powerful images of misunderstood men, love, struggle and redemption. 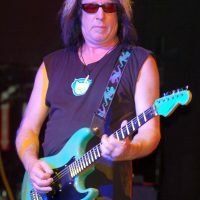 His music roots growing up in coastal California were The Rolling Stones, Led Zeppelin and then later, Muddy Waters and Albert King. 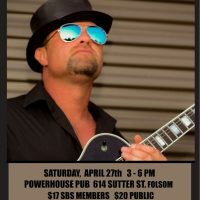 Country and blues come from the same southern root, hearing Shane Dwight's new music confirms this--a not-to-be-missed SBS afternoon event. Dance floor! Come spend a lovely day outdoors on Sutter Street in Historic Folsom at the 52nd Annual Historic Folsom Spring Arts and Crafts Fair featuring 200 artisan crafters. You will find unique, quality, handmade items. Food and beverage stands available as well as many local eateries, bakeries, wineries, and pubs -- something to please all palettes. And don't forget there are many unique boutiques and shops as well. Note: You can ride Light Rail for free with a post card you can pick up from Historic Folsom merchants or from the event poster (take a snapshot with your phone). 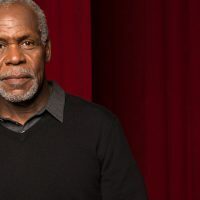 Folsom Lake College welcomes actor, producer, and humanitarian Danny Glover to Stage One in a moderated lecture. A commanding presence on screen, stage, and television for more than 25 years, his film credits range from the blockbuster Lethal Weapon franchise to the Oscar-nominated hit Dreamgirls, to smaller independent features — some of which Glover also produced. The son of civil rights activists, he has gained respect and renown for his wide-reaching community activism and philanthropic efforts, and currently serves as UNICEF Ambassador. 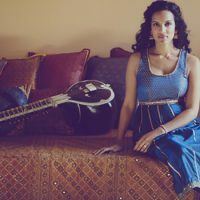 Sitar player and composer Anoushka Shankar returns! A singular figure in Indian classical and world music, her dynamic, spiritual musicality has garnered six Grammy nominations and a vital body of work with Sting, M.I.A., Herbie Hancock, Pepe Habichuela, Karsh Kale, Rodrigo y Gabriela, Joshua Bell, and others. The youngest-ever Grammy nominee in the World Music category, she’s “a more understated player than was her father, but she is a remarkable virtuoso and fluent improviser, able to bring a hint of more modern Western elements to her style.” (Los Angeles Times). The Cappuccino Cruisers Car Show will be hosting Firefighters Burn Institute kickoff with vintage cars/trucks ahead of Big Day of Giving. 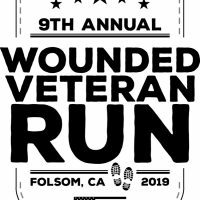 Donors and car enthusiasts can come to a family-friendly event, see some of your favorite rides, meet firefighters, and raise money for burn survivors in our area. 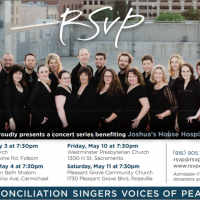 RSVP vocal group presents a concert of classical, pop, gospel, and bluegrass music to benefit Joshua's House, a new hospice being built for terminally ill homeless in Sacramento. Come listen to gorgeous music for a great cause! Donations will be accepted on behalf of Joshua's House at the concert. 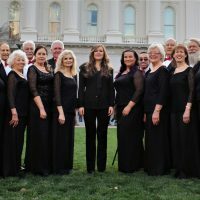 Cantaré Chorale of the Sierra Foothills, under the direction of Mariia Pechenova, presents Tapestry of Love. A concert devoted to mankind’s most profound emotion -- love! 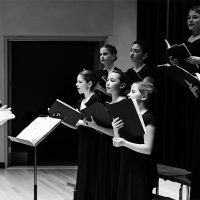 Performing three major choral works in three languages, Cantaré Chorale’s expressive performance of these unique works conveys the universal tenderness, euphoria, joy, heartache, passion, and longing that touch the soul of anyone who’s experienced love. This intensely evocative music, woven together by string quartet and oboe, will inspire not only the audience, but the artists who will create original works of art as part of each concert. Come and join Cantaré Chorale and their special guest artists as they celebrate love, that most human of all emotions. Alice's story takes a sharp turn as she falls down the rabbit hole into the dark and mysterious Wonderland. 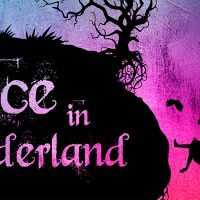 The Falcon's Eye Theatre presents Lewis Carroll's fairytale of the absurd in this exuberant, funny and strikingly pertinent production meant for curious audience members of all ages. The Falcon's Eye Theatre is the production arm of the Department of Theatre and Cinema Arts at Folsom Lake College. The Sacramento News & Review praised last season's production of Marat/Sade for "...an amazingly creative and all-encompassing theatrical experience, enhanced by imaginative sets, costumes and lighting..." In their own words, "we love to create provocative theatre that looks into what it means to be alive and how we manage to live together...to provide you with insightful theatre that brings new perspectives to your life." Join the Voices of California and their guest quartets in a celebration of 10 years of outstanding performance in Sacramento. The show will feature the best songs done by VoCal over their first 10 years and will include the iconic International Champion quartet VoCal. 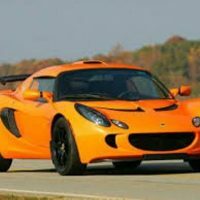 What could be better than a day in charming Historic Folsom checking out this exotic Lotus car show? Come early for breakfast, take in these exotic cars, and stay for lunch, a cold beverage, or shopping -- or all three. 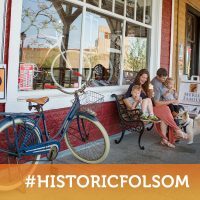 And don't stop there, Historic Folsom also has museums and a state park with tours. Take Light Rail right into the Historic District, ride your bike, or walk in. You can drive in too -- there are lots of spaces in the parking garage. 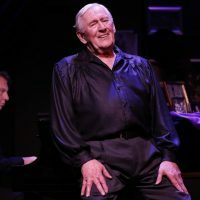 Len Cariou -- distinguished member of the Theatre Hall of Fame and a three-time Tony nominee, for Applause, A Little Night Music, and for his legendary performance as Sweeney Todd: The Demon Barber of Fleet Street, (Tony Award-winner, Best Actor) -- stars in Broadway & the Bard! This universally-acclaimed stage and screen veteran gives full voice to an idea that he has harbored since his first Broadway season. Combining his two great loves -- Shakespeare and American Musical Comedy -- into one rich and diverse tapestry with classical soliloquies and sonnets and inventive musical pairings from beloved writers of the Great White Way. Offstage, Mr. Cariou currently stars as Henry Reagan (Tom Selleck's father) on the hit CBS series Blue Bloods. And recently starred as Cardinal Law in the Oscar-winning movie Spotlight. Don't miss your chance to see a true legend on stage! Would James Bond be as cool without his iconic theme? No way! It’s the exciting film scores that help our favorite screen characters loom larger than life. This blockbuster program showcases a host of heroes and villains, including Superman, Indiana Jones, Goldfinger—even extraplanetary visitors like Darth Vader and ET! Concert goers will be treated to a unique display of James Bond memorabilia. 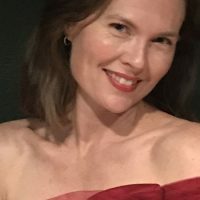 Guest Artist: Glory Parsons, soprano. Soprano Glory Parsons has an extensive musical theater background and played the roles of Dorothy in The Wizard of Oz and Annie Sullivan in The Miracle Worker with Broadway on Tour and sung Eliza Doolittle in My Fair Lady and performed dancing roles in 42nd Street and Will Rogers Follies with La Mirada Theatre. This concert will take listeners on a dreamlike journey with original music composed by Colin Regan, performed by ten orchestral musicians. The program will include two large-scale pieces for the ensemble, as well as three songs featuring guest vocalists. When creating his music, Colin draws from the full spectrum of emotions and strives to invoke them in others. He is very excited to bring his compositions to life and share them with you at the Harris Center for the Arts. 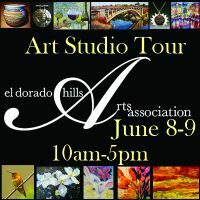 El Dorado Hills Arts Association invites you to join in their 10th Annual Art Studio Tour through 12 locations in El Dorado Hills, Shingle Springs, and Folsom. The tour is free and it’s a wonderful chance for the public to see award winning local art to talk with the 36 participating artists, and to purchase art directly from them. 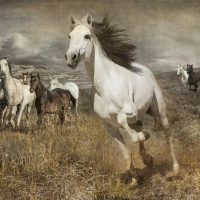 Featured artwork includes paintings in oils, acrylics, and watercolors, as well as jewelry, woodworking, fabric arts, printmaking, ceramics, and photography. Start your adventure at any place on the tour, including The Gallery at 48 Natoma Street where samples of the artists’ work will be on display. 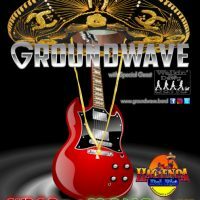 Backed by his contemporary pop orchestra, they will deliver Ryan’s award winning boogie-woogie, movie themes, rock n' roll, Broadway, and hits from Ray Charles, Disney, Queen, Maroon 5, and so much more. 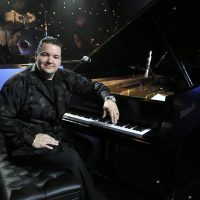 His performance schedule has taken him to over 100 countries and Ryan is the two-time 1st Place Champion of the International Liberace Piano Competition. As seen on PBS, this is one concert event people will be talking about all year. It’s a show not to be missed! Spring is finally here in the foothills. The cold winter rain has become warm spring showers that bring eye-popping bursts of wildflowers, flowing sparkling creeks, and shimmering rainbow reflections. 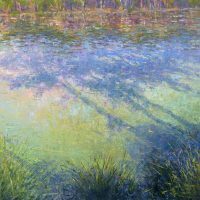 This beautiful time of year is captured in the current exhibit, “California Waterscapes,” at the Gallery at 48 Natoma, in Folsom with nationally-acclaimed painters Carolyn Lord, Karen Anable-Nichols, and Susan Sarback. In the adjacent Community Gallery at 48 Natoma, the El Dorado Hills Arts Association will display their annual 2019 Spring Art Studio Tour Preview with over 50 artists from 20 studios that are participating in this year’s event. This is a great way to see a preview of all of the artists in the Art Tour, get a free studio map, and plan your route for the tour. 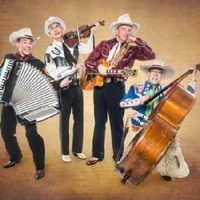 Gary Vecchiarelli Productions of Las Vegas presents 30 musicians and two big bands on stage playing 1930s and 1940s most popular music. Sounds of Glenn Miller and Harry James competing for the vote of the audience at the show's climax. 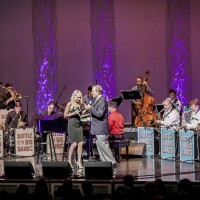 Featuring vocalists Ned Rifken (the "Ambassador of Swing") and Candace Delbo (The Chordettes) together with special guests, "The Satin Dollz" (Andrew Sisters Vocals). Come out to the Historic Folsom's 5th Annual Peach Festival! 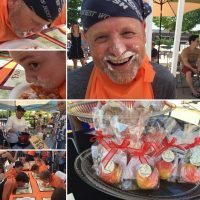 There will be a peach eating contest, best peach dessert contest, live music, face painting, crafts, and games for the kids! It will also feature the best organic produce, including delicious peaches from various farmers, food trucks, chef demo, gourmet specialty foods, artisan and crafter goods, and more! Leapin' Lizards! The irrepressible comic strip heroine takes center stage in one of the world's best-loved musicals. 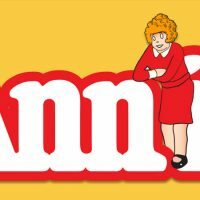 Based on the popular comic strip by Harold Gray, Annie has become a worldwide phenomenon and was the winner of seven Tony Awards, including Best Musical. The beloved book and score by Tony Award winners, Thomas Meehan, Charles Strouse and Martin Charnin, features some of the greatest musical theatres hits ever written, including "Tomorrow." This production by El Dorado Musical Theatre features colorful costumes and sets, stunning choreography, and exceptional performances. It is an ideal event for the entire family. They say the only thing consistent about change is, well, that it changes. Whether through design or destiny, that’s a precept the SteelDrivers know all too well. 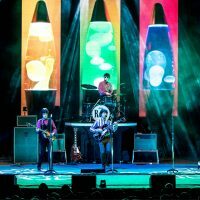 Throughout their career -- one that encompasses four highly acclaimed albums and any number of awards and accolades -- the band has demonstrated the ability to adapt to change with unwavering persistence. Theirs is a lingering legacy defined by quality and consistency. It’s one in which they’ve never stopped looking forward, successfully marshaling their resources for wherever that trajectory takes them. If Amy Schumer and Stephen Sondheim had a love child, this would be it! Written for women, by women, Little Black Dress! tells the story of best friends Mandy and Dee. 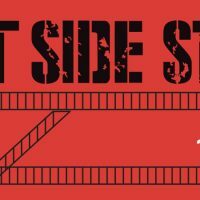 Together, witness the girls' major life events in their little black dresses -- first job interview, first date, first awkward sexual experience (which happens more than once), first funeral, and more! Little Black Dress! is a fully original musical with improv -- so the show is different every night. 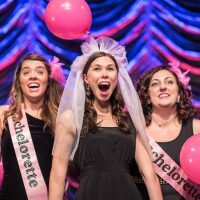 Hilarious tunes about childbirth to profound songs about love and friendship combine with hysterical audience improv, a heartfelt story and sincere moments of tenderness like never before to create a truly unique event. A show that every woman can relate to, Little Black Dress! 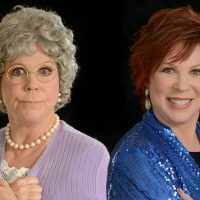 has made audiences across the globe laugh, cry, and party! Note: This production contains strong language and adult content. Their 2017 release So It Is taps into a sonic continuum that stretches back to New Orlean’s Afro-Cuban roots, through its common ancestry with the Afrobeat of Fela Kuti and the Fire Music of Pharoah Sanders and John Coltrane, and forward to cutting-edge artists with whom the Preservation Hall Jazz Band have shared festival stages from Coachella to Newport, including legends like Stevie Wonder, Elvis Costello, and the Grateful Dead, and modern giants like My Morning Jacket, Arcade Fire, and the Black Keys. 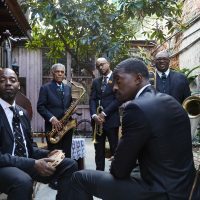 At a moment when musical streams are crossing with unprecedented frequency, it’s crucial to remember that throughout its history, New Orleans has been the point at which sounds and cultures from around the world converge, mingle, and resurface, transformed by the Crescent City’s inimitable spirit and joie de vivre. Nowhere is that idea more vividly embodied than in the Preservation Hall Jazz Band. A jazz legend, Bob James has a career that has defined the genre and continues to evolve at every turn. David Sanborn is universally known as one of the most iconic saxophonists of the current age. Marcus Miller’s characteristic bass sound can be heard on a limitless catalog of musical hits. 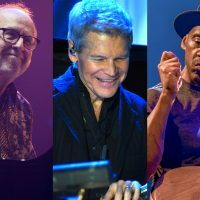 Together, these three virtuosos reunite for the first time since the release of Double Vision, the 80s collaboration between James and Sanborn that dominated the airwaves, sold over one million copies, and earned a Grammy Award. 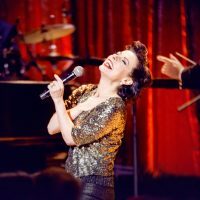 Emmy-nominated actress Angela Ingersoll celebrates the music of Judy Garland live in concert, as seen on PBS. "The heiress apparent to the Garland legacy" (Splash Magazine) delivers a powerful virtuoso performance with her tremendous voice, compassionate storytelling, and naturally winning humor. In addition to headlining concert stages nationwide, Ingersoll won acclaim for her superb portrayal of Garland in the play End of the Rainbow, including Chicago's Jeff Award and LA Times Woman of the Year in Theater. Chad Prather is known for his way with words. He is a comedian, armchair philosopher, musician, and observational humorist. He is often referred to as “the modern day Will Rogers.” He is a fast-talking combination of Lewis Grizzard and Jeff Foxworthy. Originally from Augusta, GA, Chad now calls the Fort Worth, TX area home. 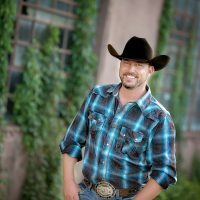 He grew up working with horses (an industry he is actively involved in) and is often recognized by his ever-present cowboy hat. His social media viral video views are counted in the hundreds of millions. Prather has made numerous appearances on Fox News, CNN, A&E, The Blaze and MSN. 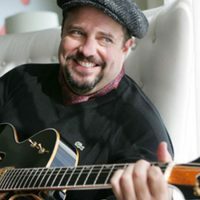 He is the host of Ride TV’s It’s My Backyard and recently finished his wildly successful “Kings of Cowtown Comedy Tour.” He has sold-out theaters all over America and is one of the country’s fastest rising and talked about comedians and entertainers. The Great Composers Chamber Music Series presents “The Magic of Mozart” with violinist Ian Jessee, violist Lynne Richburg, pianist Andrei Baumann, clarinetist Ricky Duhaime and cellist Susan Lamb Cook, including the Divertimento in E-Flat Major for Violin, Viola, and Cello, K. 563, the Piano Quartet in G minor, K 478, and the Clarinet Quintet in A Major, K.581. Jim Brickman returns to Folsom this Christmas to wow the crowd with his uplifting, family-friendly, holiday concert tradition. "Jim Brickman: A Christmas Celebration Live," one night only at the Harris Center! The best-selling contemporary piano artist, Jim Brickman and his special guests will dazzle audiences with holiday favorites, No. 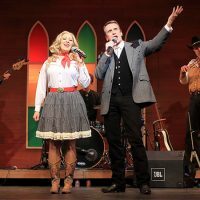 1 hits, vibrant vocals, and laughter and joy in this bright, festive winter's night celebration that the Dallas Morning News calls "pure entertainment." 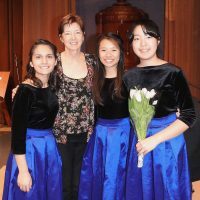 The “Rising Stars of Chamber Music” program was developed by Susan Lamb Cook to train young, pre-college musicians in the art of chamber music performance. 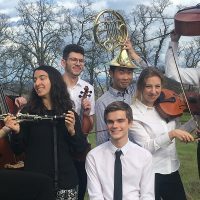 These extraordinary young musicians bring enthusiasm and energy to the stage for dynamic performances of classics from the chamber music repertoire. The Great Composers Chamber Music Series, with TriMusica and friends, “Beethoven’s Birthday: Part 1”, including Variations on a theme from Mozart’s “The Magic Flute” for Cello and Piano, Trio for Clarinet, Cello, and Piano, Op. 11, Septet for Violin, Viola, Cello, Bass, Clarinet, Bassoon, and Horn, Op. 20. 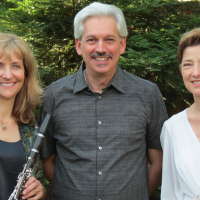 TriMusica, featuring clarinetist Sandra McPherson, cellist Susan Lamb Cook, and pianist John Cozza, will be joined by prominent local and Bay Area musicians to present the rarely heard Septet in E-Flat Major, Op. 20. This program is not one to be missed! 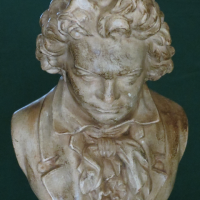 The Great Composers Chamber Music Series, presents “Beethoven’s Birthday: Part 2”, with violinist Nancy Wu, pianist Gayle Blankenburg, and cellist Susan Lamb Cook, including Variations on a theme from Handel’s Judas Maccabaus for Cello and Piano, Sonata for Violin and Piano, Op. 96, Piano Trio, Op. 70, no. 1 “Ghost”. 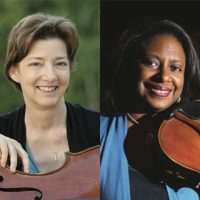 Susan Lamb Cook will be joined by friends and colleagues violinist Nancy Wu, associate concertmaster of the Metropolitan Opera, New York, and well-known pianist Gayle Blankenburg for this delightful program of works by Beethoven.